Microsoft Corporation has released an new update to Mouse Gestures Extension for Microsoft Edge browser. The updated version is 0.6.16274.0 and now it is live for download in Windows Store. Now you can use Mouse Gestures to reopen a closed tab, go to your home page, close all tabs to the left or right, or duplicate the current tab. New rocking gestures were added: Hold the right-click button as you left-click, or hold the left-click button as you right-click to perform a quick action. When you use Mouse Gestures to scroll up or down, scrolling is now smoother, and covers the same distance as your mouse. 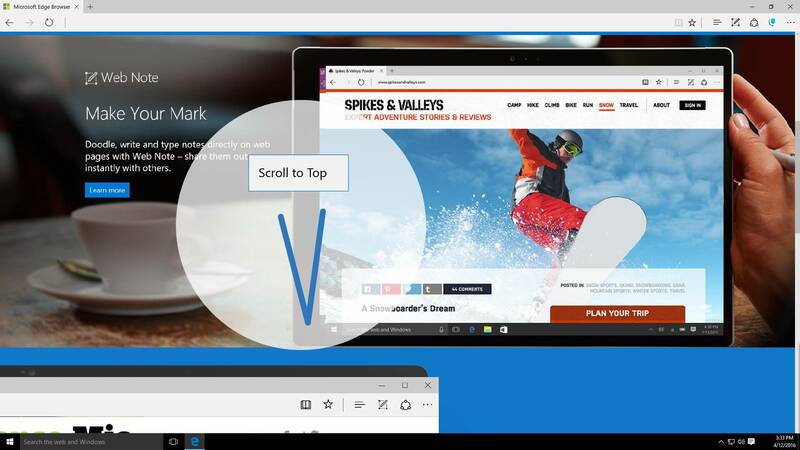 Download Mouse Gesture Extension for Microsoft Edge.